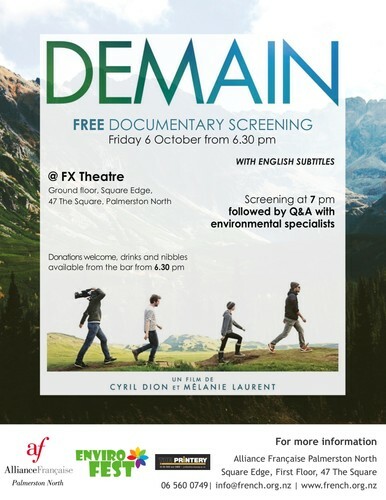 Alliance Française Palmerston North presents Tomorrow, a 2015 French documentary film directed by Cyril Dion and Mélanie Laurent. Faced with a future that scientists say is a great cause for concern, the film has the distinction of not giving in to catastrophism. Optimistically, it identifies initiatives that have proven themselves in ten countries around the world: concrete examples of solutions to environmental and social challenges of the twenty-first century, be it agriculture, energy, economy, education and governance.